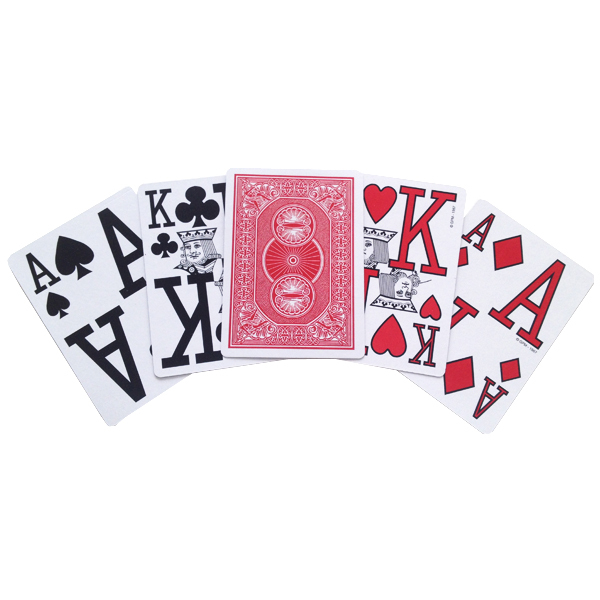 Designed by the ophthalmologist, Dr. Gerald Marinoff, to enable individuals with vision problems to more easily see the numbers on playing cards. They come with 1.25 inch high numbers. The outstanding feature is the black outline that surrounds the large numbers to make them stand out. Buy 1 deck, get the color deck shown in the picture. Buy 2 decks, you will receive a BLUE deck and a RED deck.